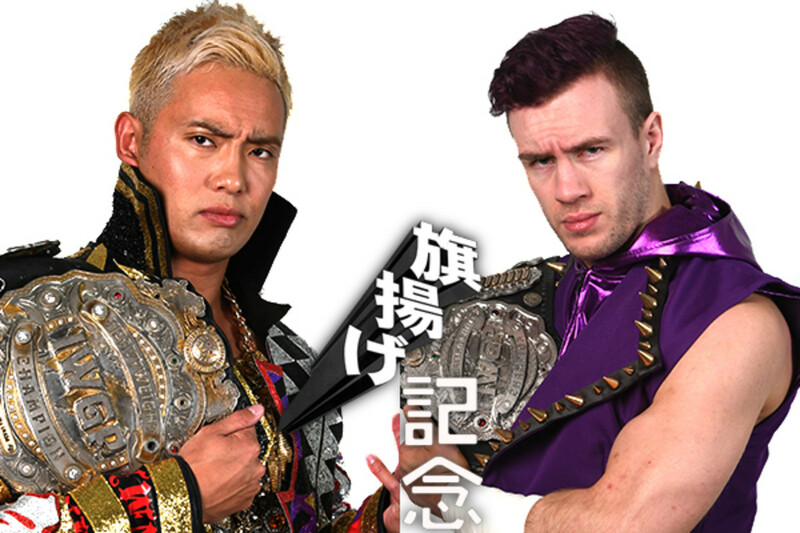 Okada and Ospreay are stablemates in NJPW as part of Chaos. This will be their second singles match against each other. Okada defeated Ospreay for Revolution Pro Wrestling in 2015, which led to Ospreay being brought into NJPW. There will be two title matches on the anniversary show card, with Minoru Suzuki defending his IWGP Intercontinental Championship against Togi Makabe in the semi-main event and Sho & Yoh putting their IWGP Junior Heavyweight Tag Team titles on the line against Hiromu Takahashi & BUSHI and Yoshinobu Kanemaru & El Desperado. Tetsuya Naito takes on Taichi after Taichi attacked him at the New Beginning in Osaka. And the seventh match in Katsuya Kitamura's trial series takes place as Kitamura faces Manabu Nakanishi.